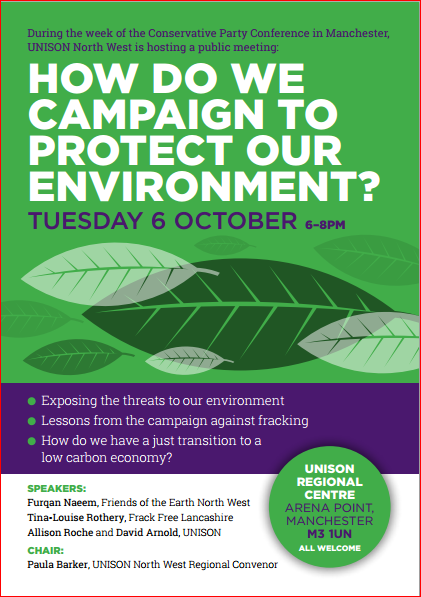 UNISON North West is hosting a public meeting on the environment during the week of the Conservative Party Conference in Manchester. Tbh I am a bit worried that this will be sage on the stage following by ritualistic Q and A and exhortations that the Next March is the one that will crack it. But I could be wrong, and it’s worth going along to find out, perhaps.